Thanks much for helping out the flunky! Here's what possibly happened. You opened the initial page that established a client session. Then you logged in to your website and performed the action (went to a URL). However, somehow the session-establishing request or your login request was not captured or was deleted in Fiddler. When Fiddler replayed the requests, the server was maintaining the same client session. It accepted the requests because Fiddler caches the session IDs / security tokens and includes them in the request headers. 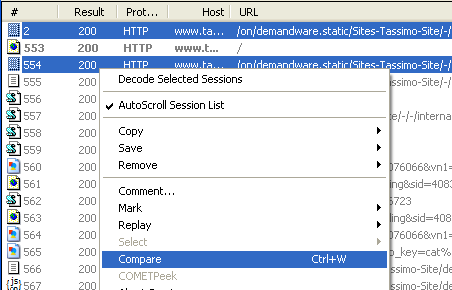 However, when StresStimulus engine replayed the same sessions, (i.e. incomplete scenario), the server established a new session with new security tokens, and it rejected the recorded session id or security token. 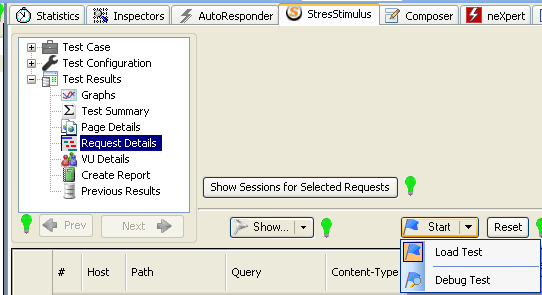 In order to dynamically maintain the session's integrity in StresStimulus, the test case must include the initial "handshaking" requests establishing client session/login. 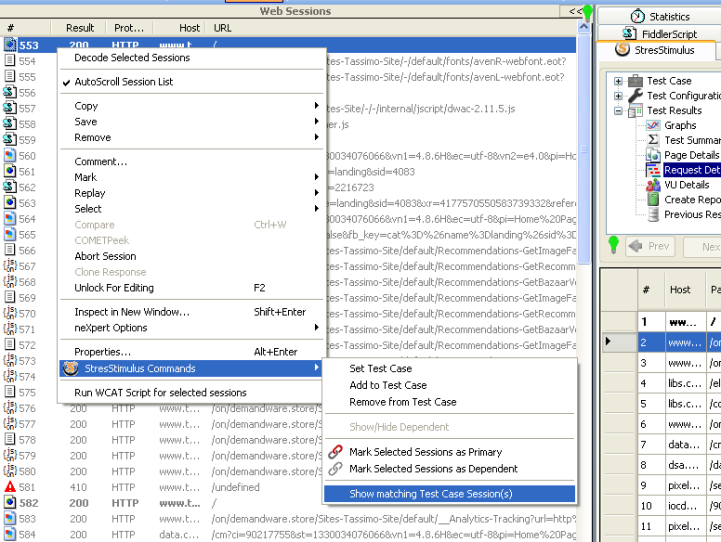 StresStimulus recorder is designed to help avoiding the "incomplete test case" errors. 1. Run the test in debug mode with 1 VU. The replayed sessions will appear in the Fiddler grid. 2.Display the matching recorded sessions. This exercise should give you a pretty complete picture of what has happened. The first step to fix the issue should be using the Recorder to record the test case instead of manually setting the test case.